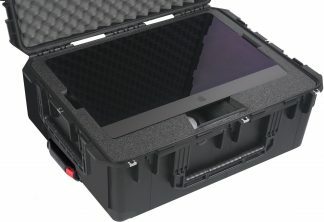 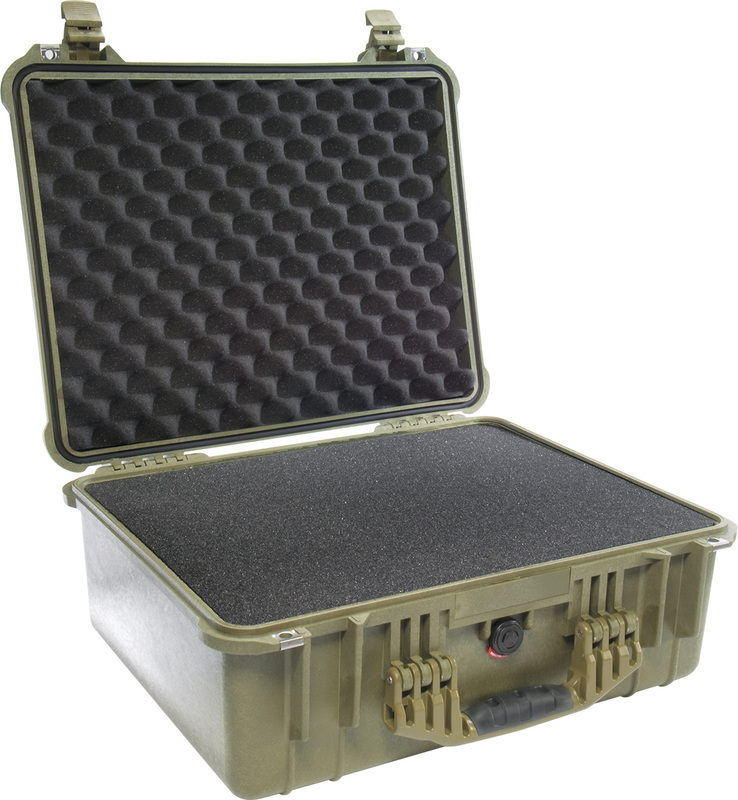 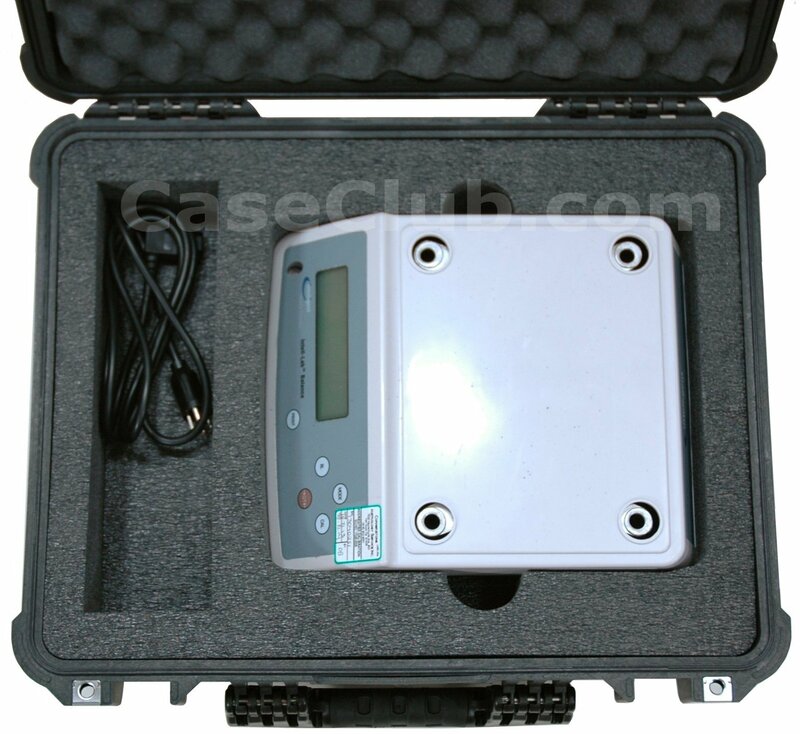 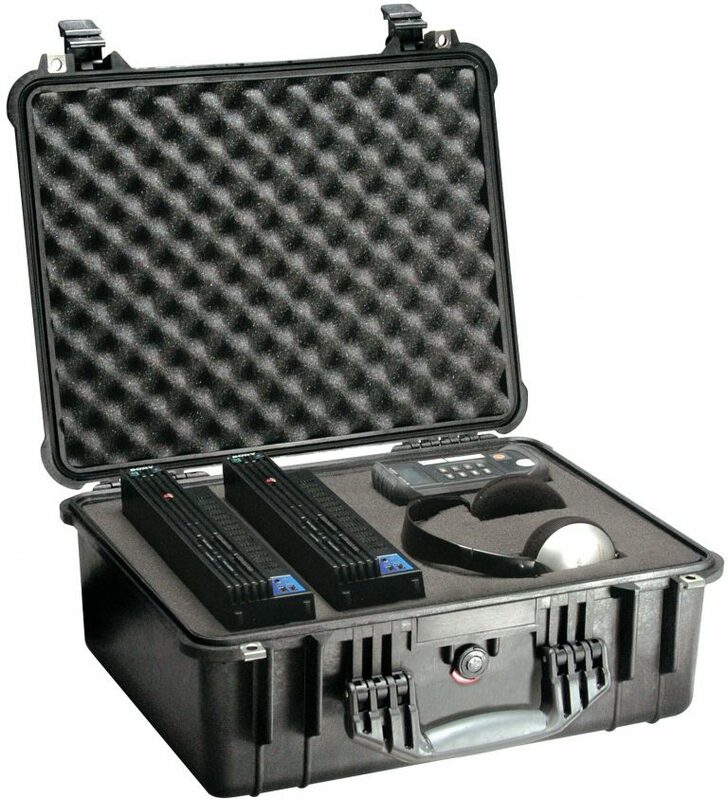 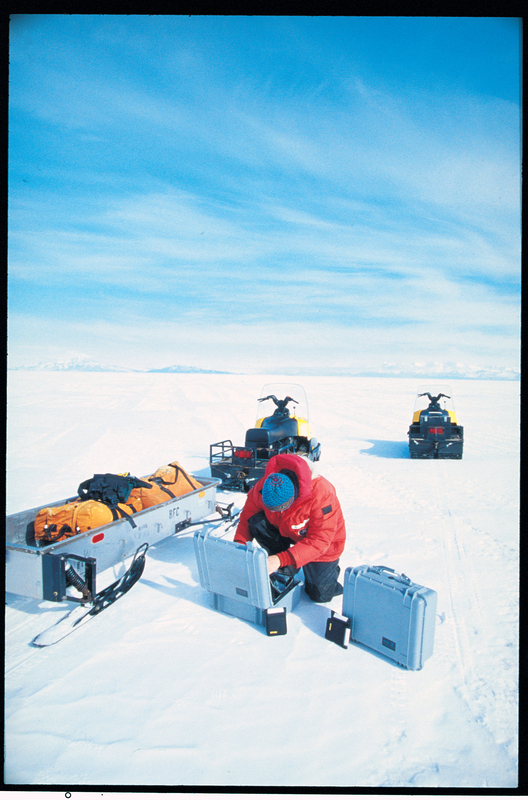 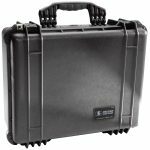 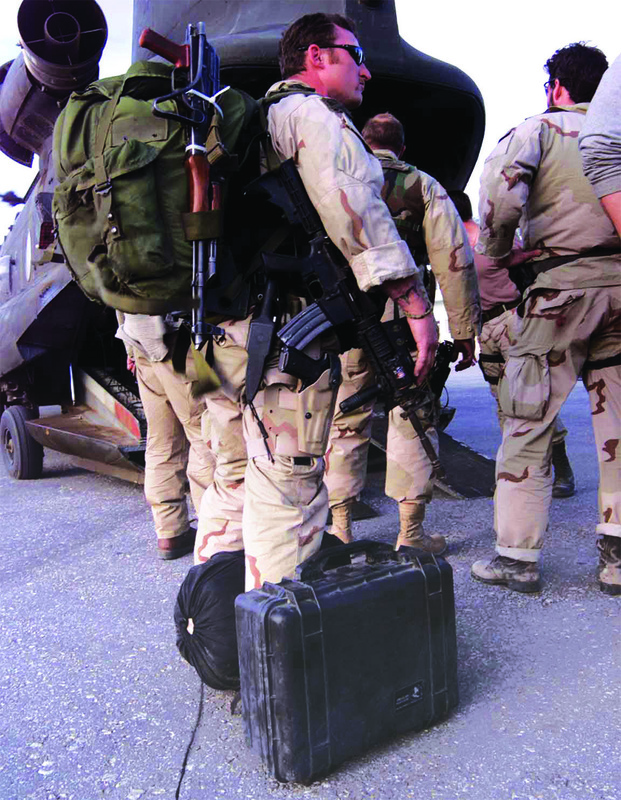 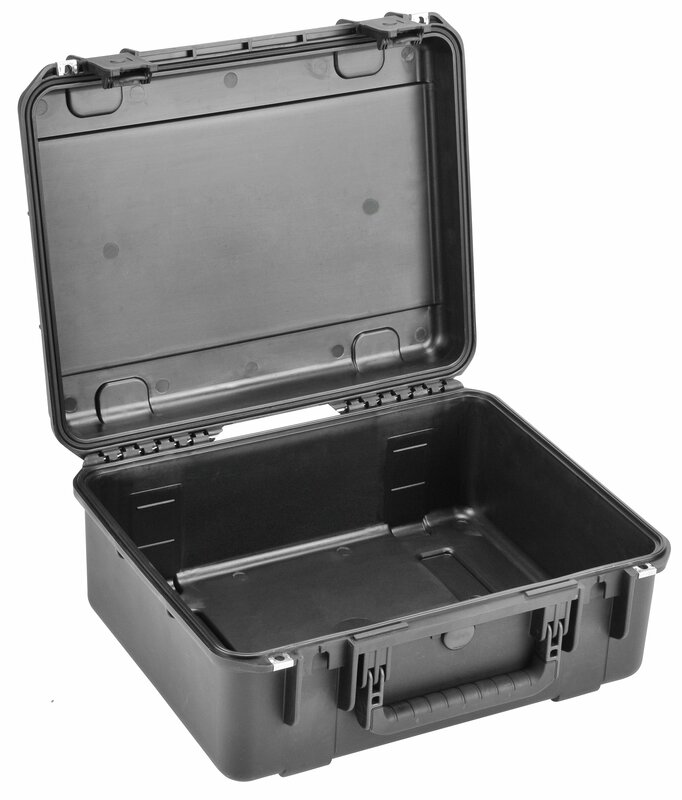 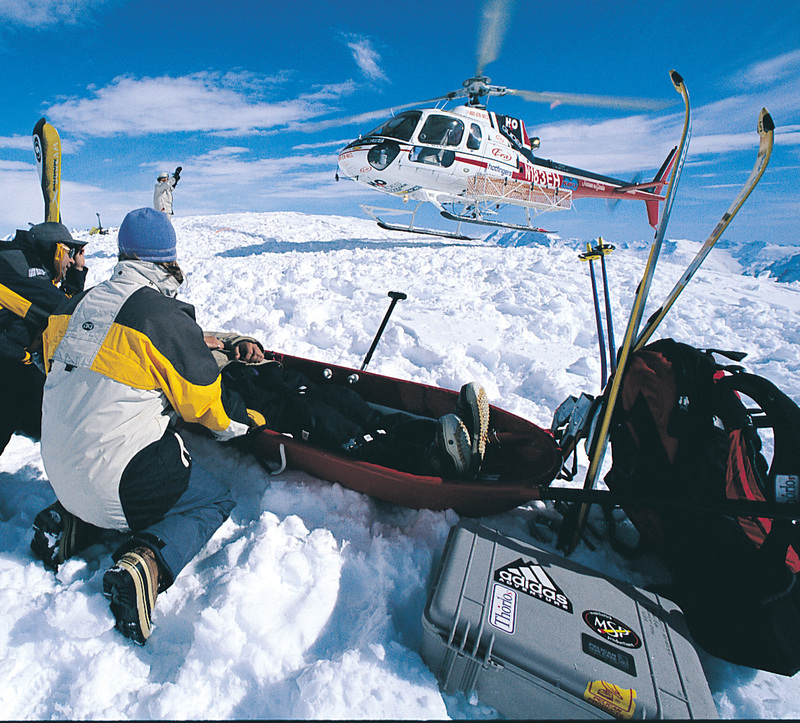 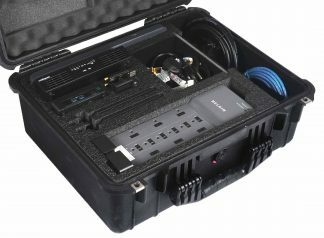 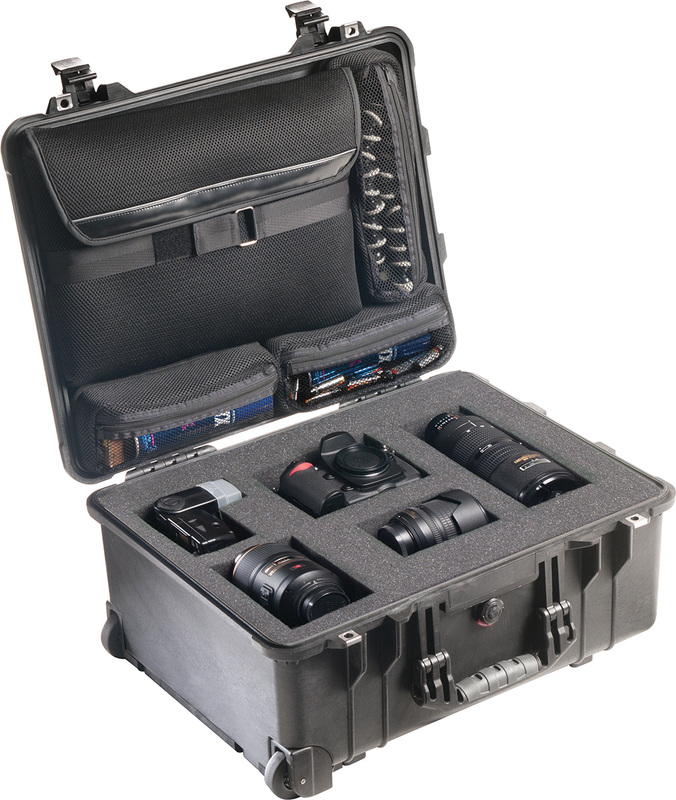 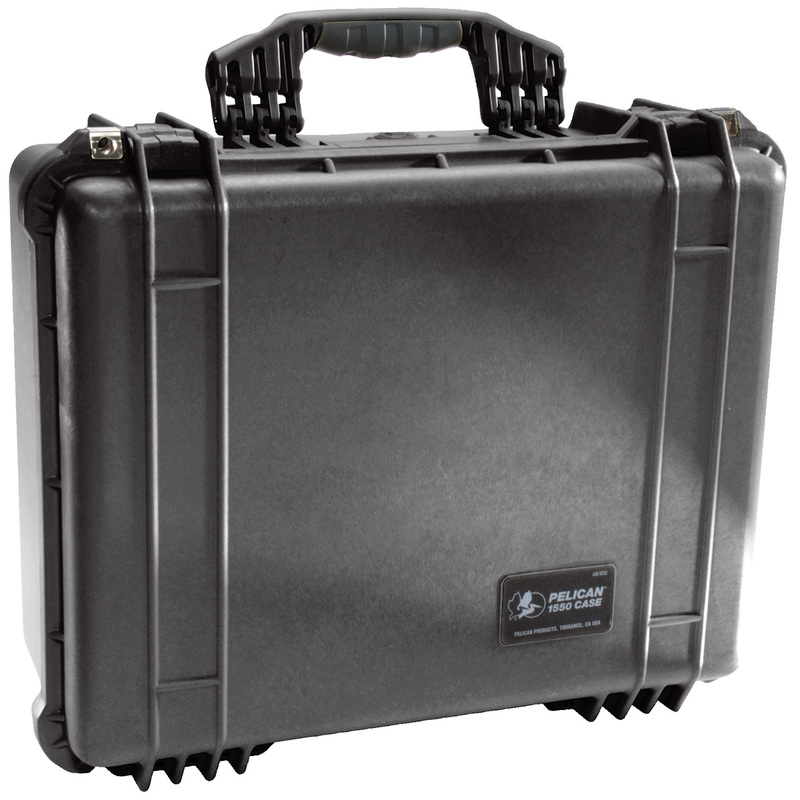 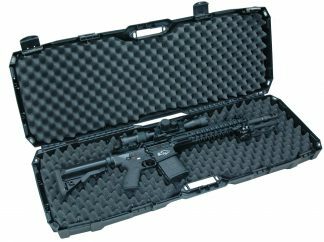 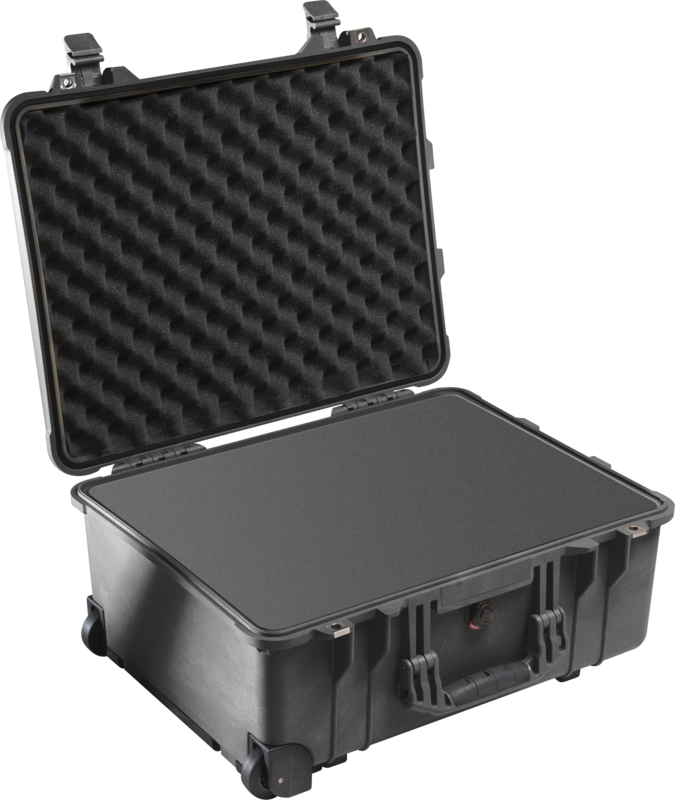 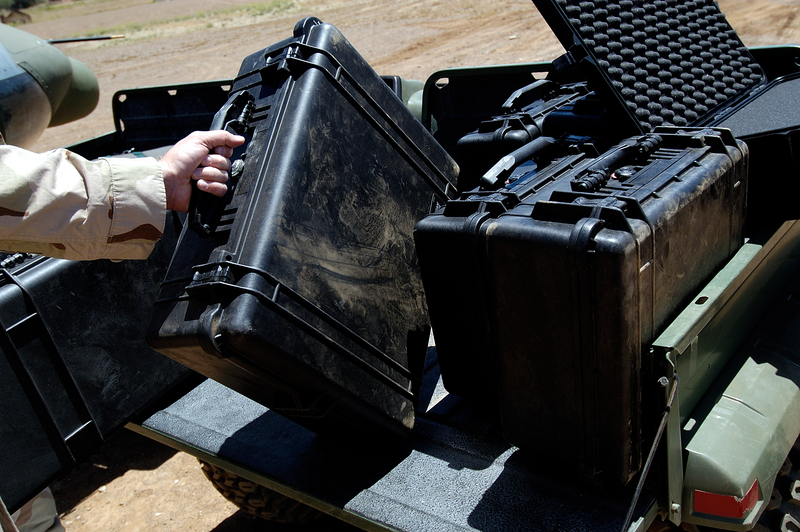 The Pelican™ 1550 case is the largest size Medium Pelican™ Case. 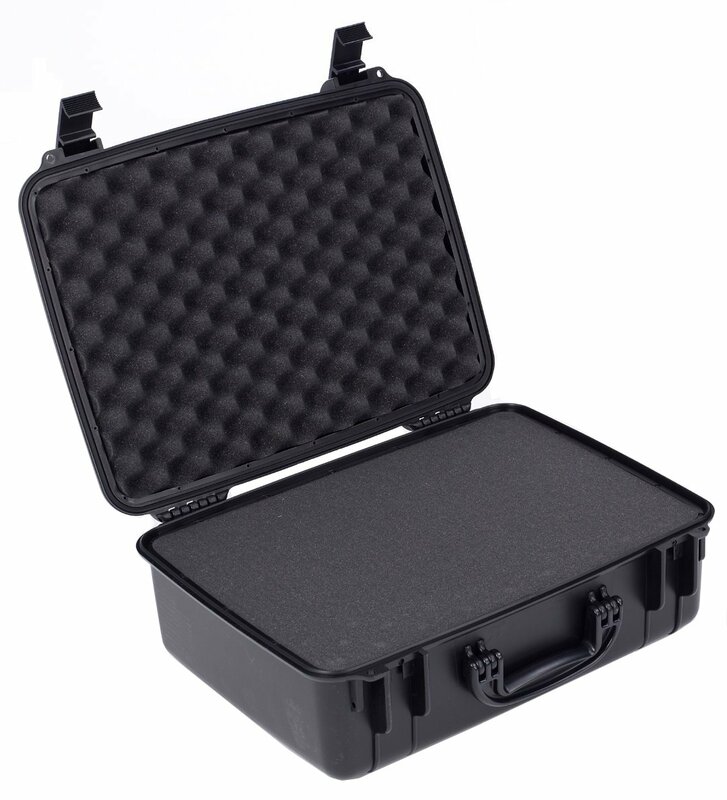 The 1550 case is big enough to protect large items while still being small enough to easily manage and store. 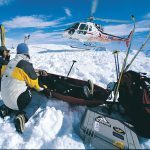 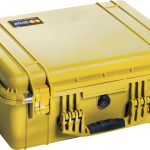 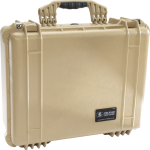 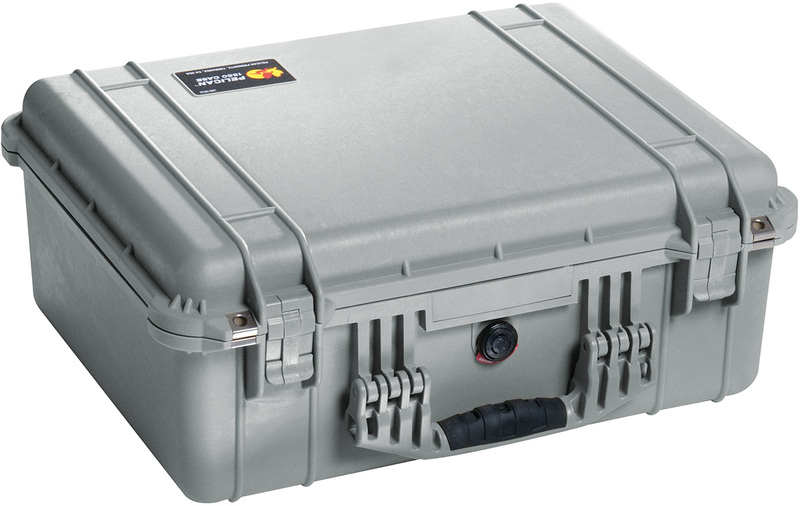 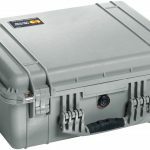 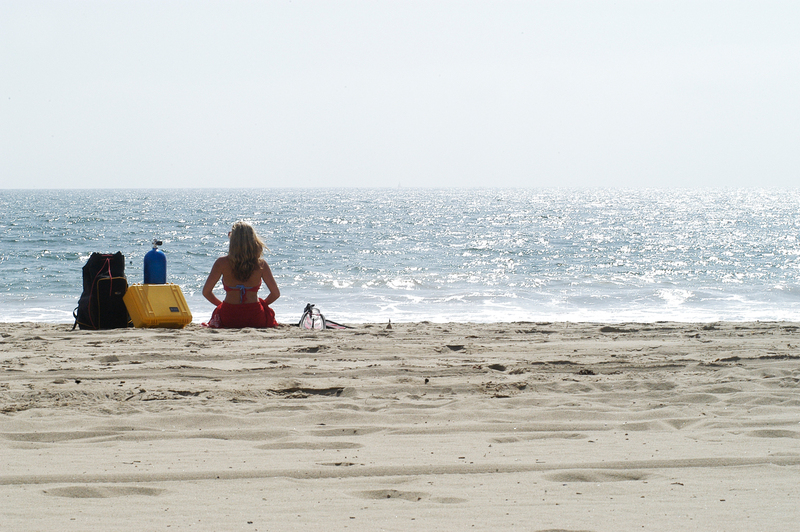 The Pelican™ 1550 Case like all Pelican™ Cases is waterproof when submerged due to it’s o-ring seal. 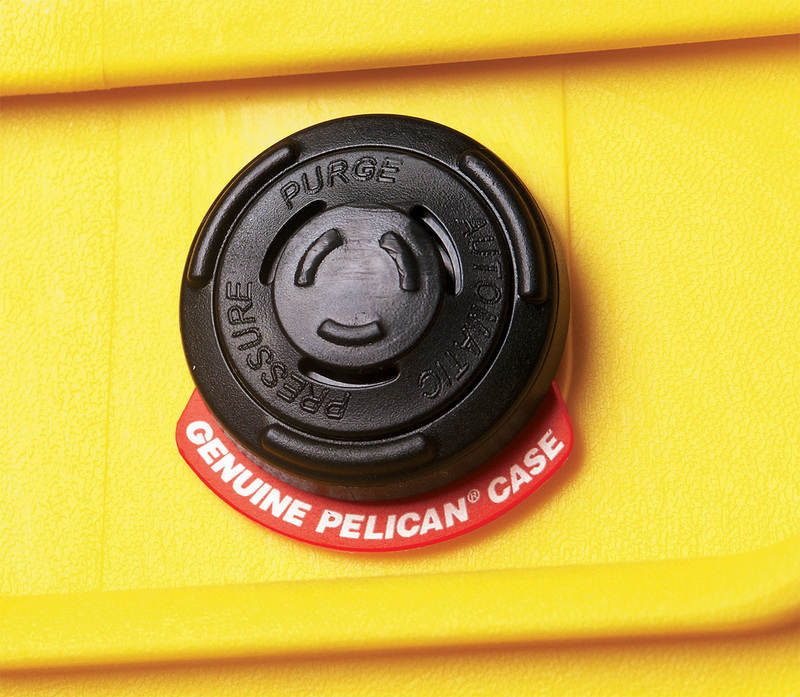 The rubber overmolded handle gives the Pelican™ 1550 Case a very comfortable grip while also acting as a non-slip grip for the most wet conditions. 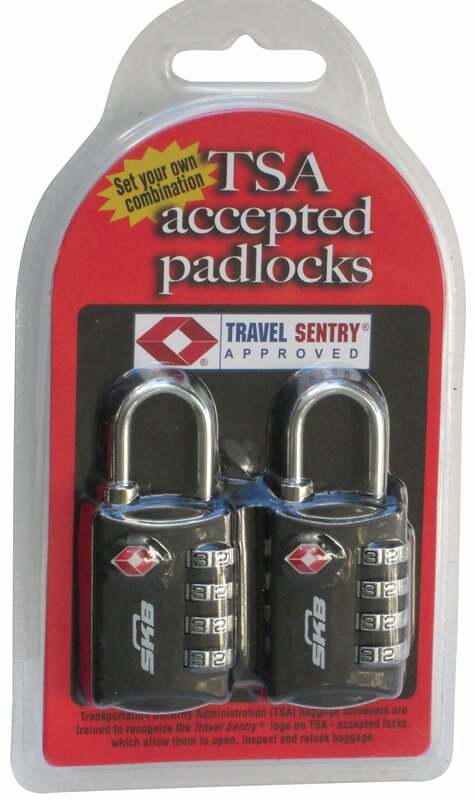 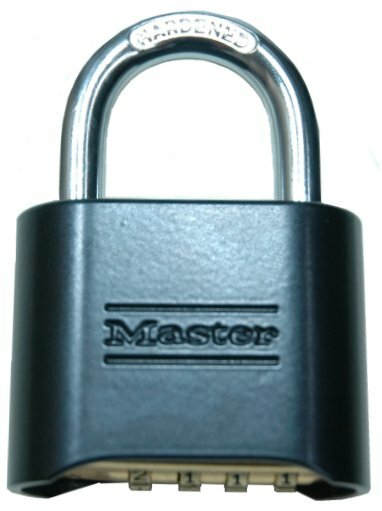 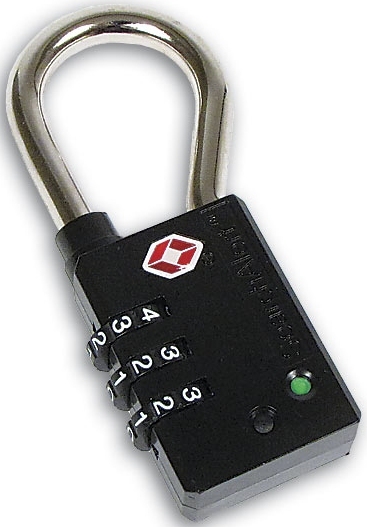 Stainless steel reinforced padlock holes allow for heavy duty locks to protect the 1550 when needed. 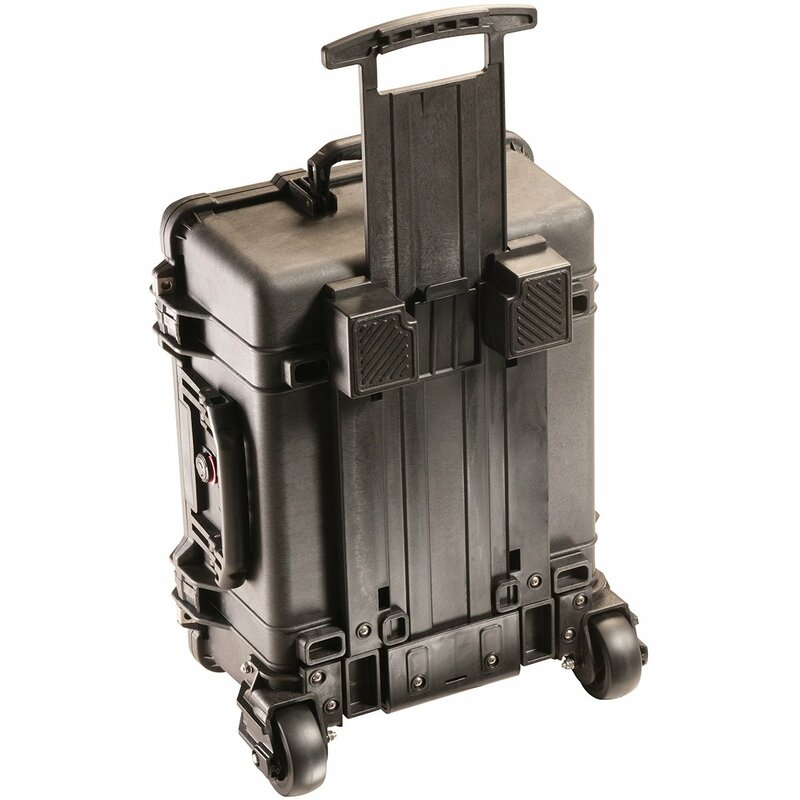 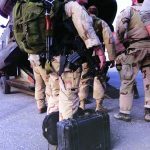 Large exterior ribs on the front of the Pelican™ 1550 case act as structural support when in abusive transit. 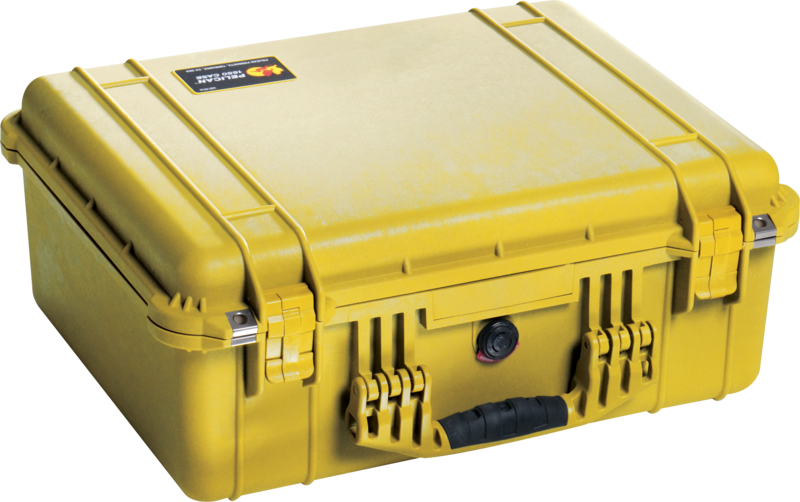 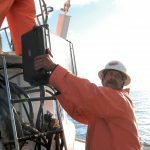 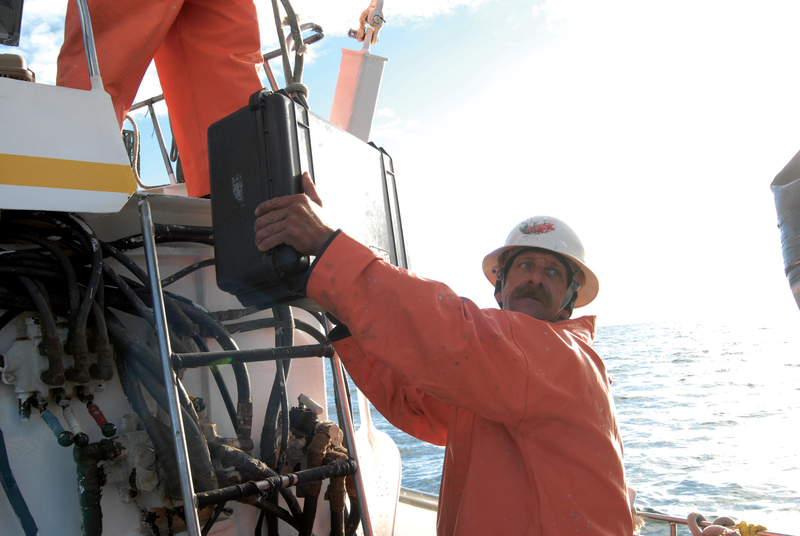 Pelican™ 1550 Case is waterproof, dustproof and crushproof. 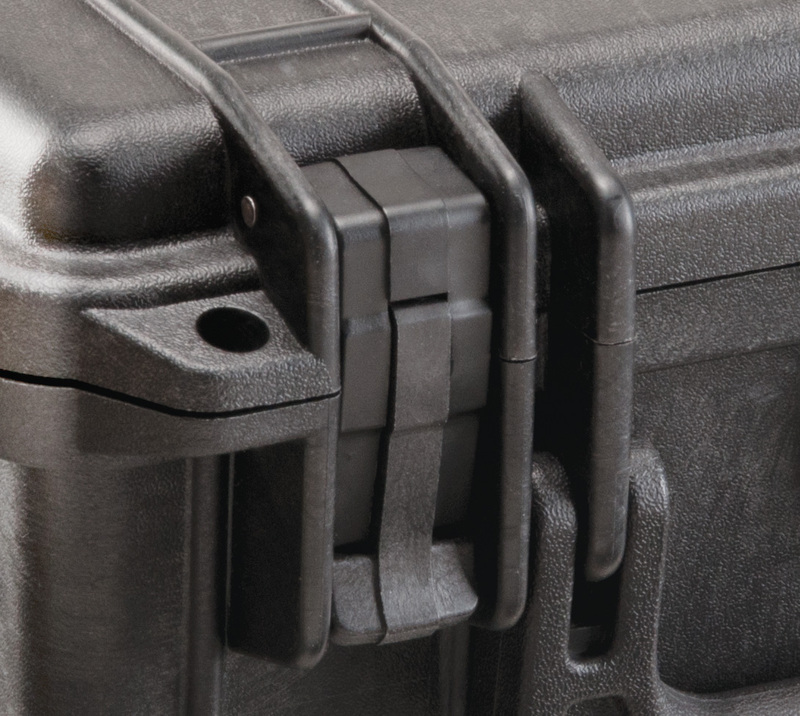 The Pelican™ 1550 case is made for performance. 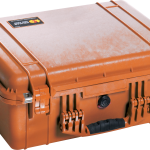 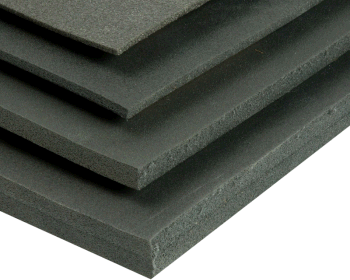 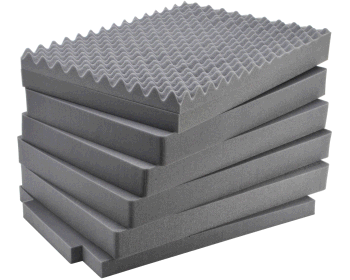 Along with its hard unbreakable outer shell, the 1550 comes with some extra secrets. 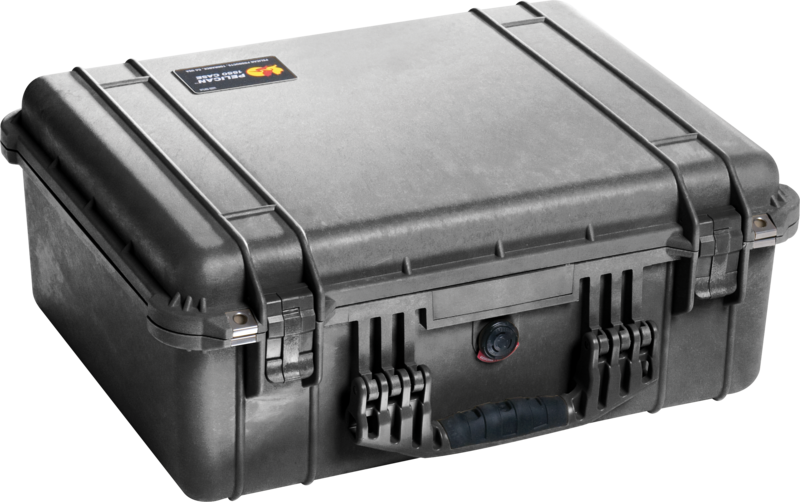 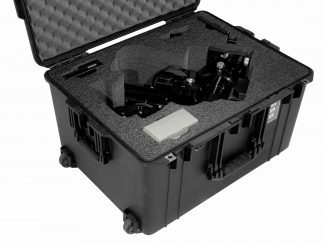 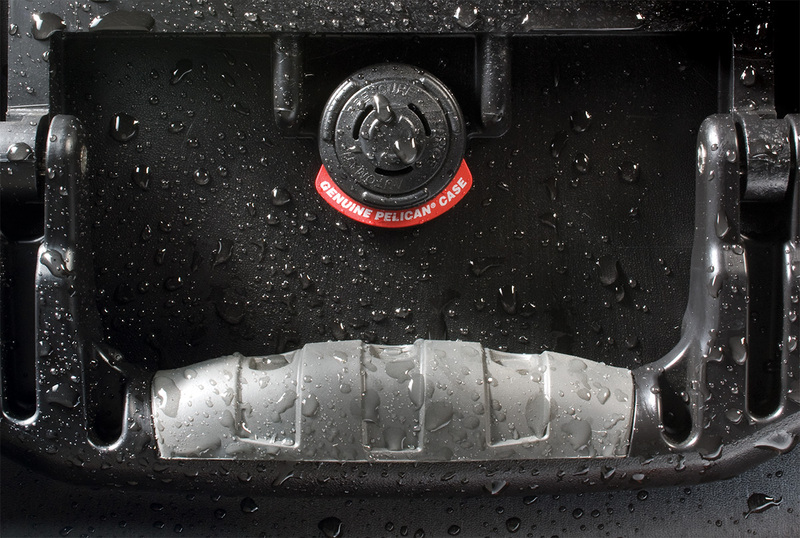 An automatic purge valve on the front allows air to move freely in and out of the Pelican™ 1550 Case. 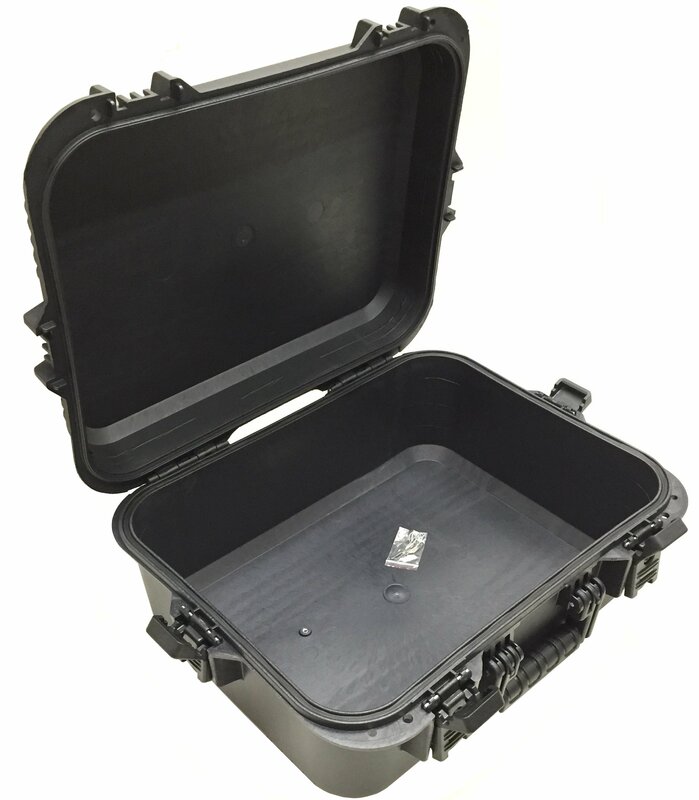 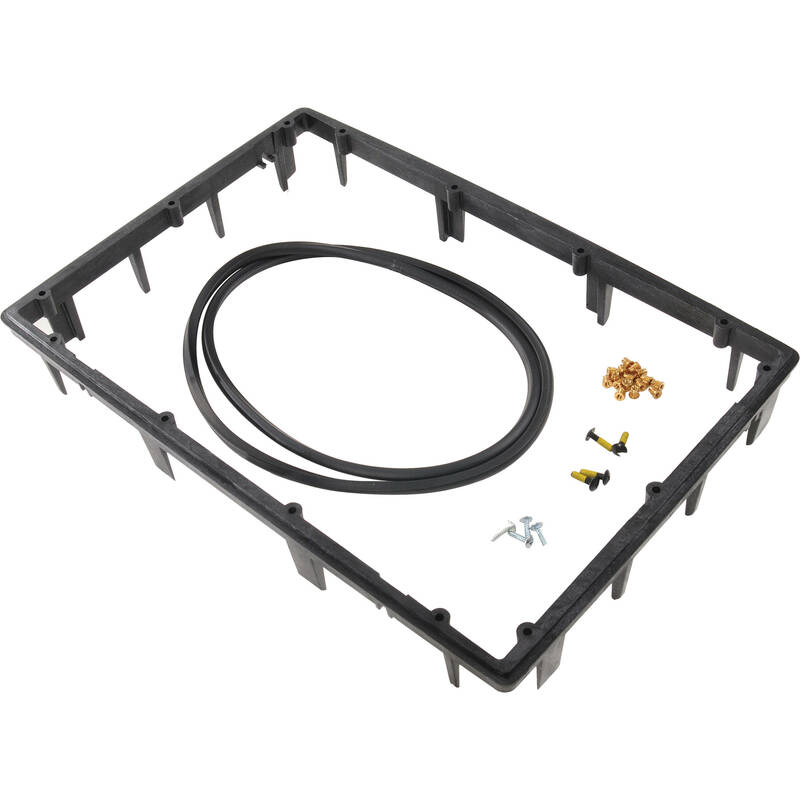 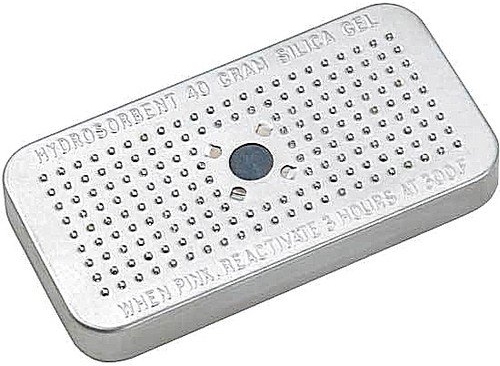 This is so that the case can be opened in high altitudes without the vacuum effect occurring like in most other watertight cases. 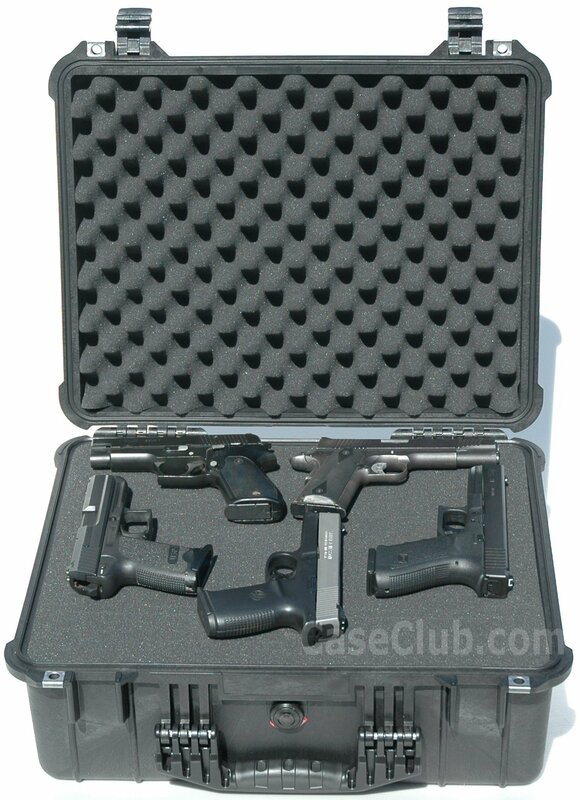 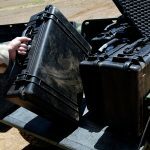 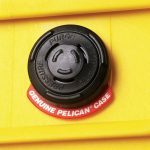 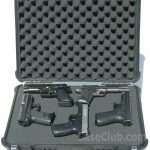 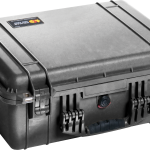 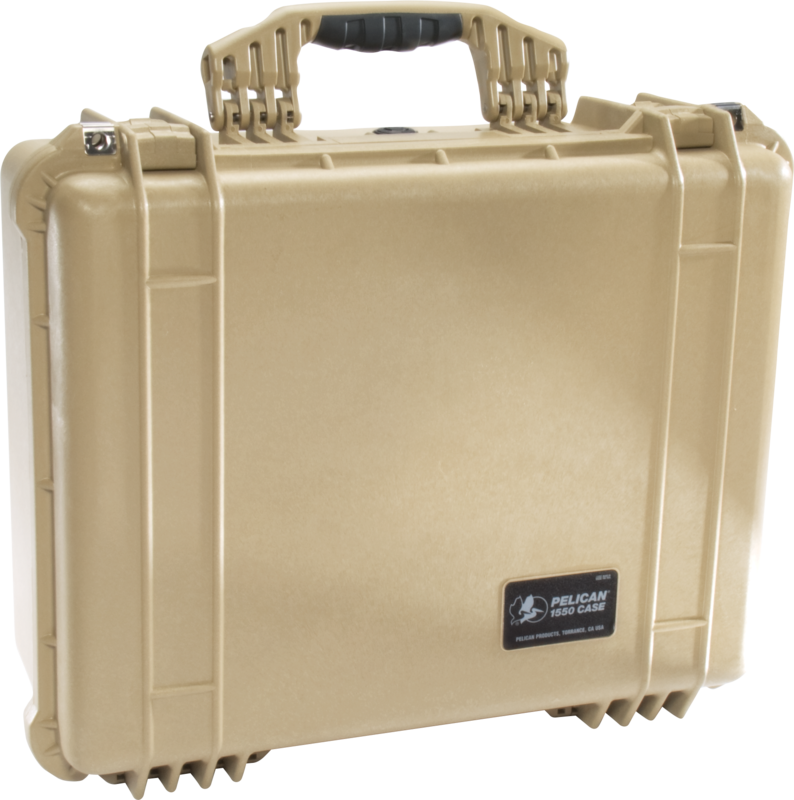 The Pelican™ 1550 Case comes standard with patented double throw latches that make the case easy to open. 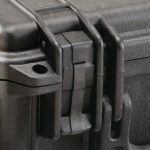 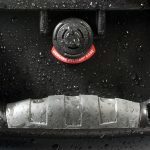 The double throw latch system pry’s against itself in two motions allowing the 1550 case to be opened even with intense pressure pushing up on the lid from the inside. 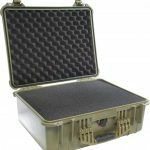 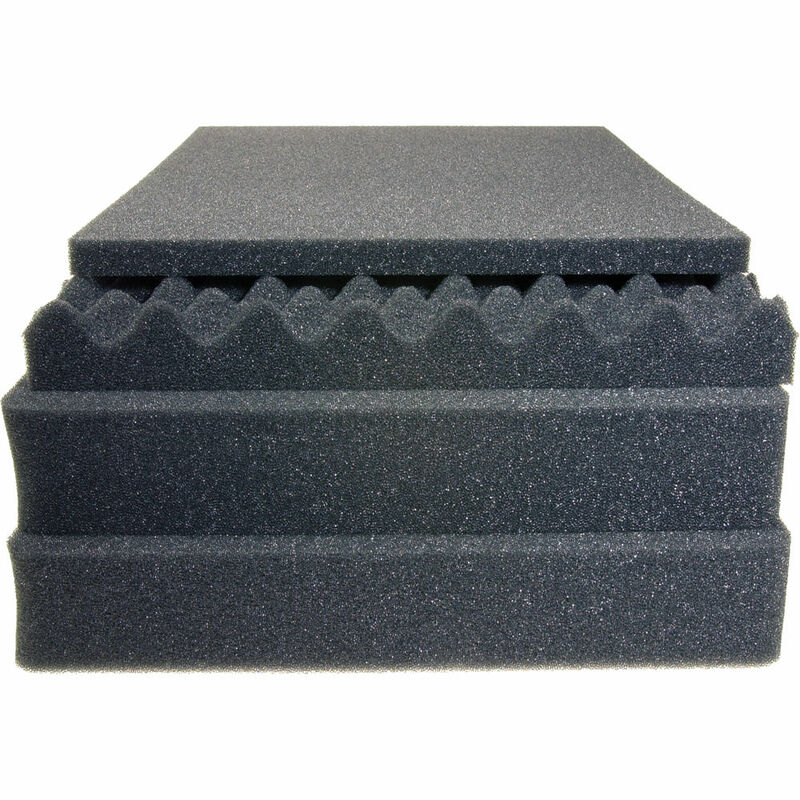 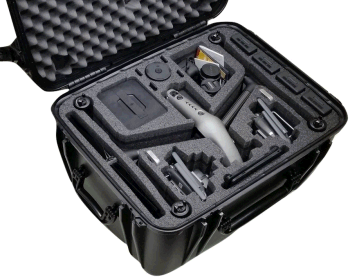 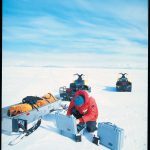 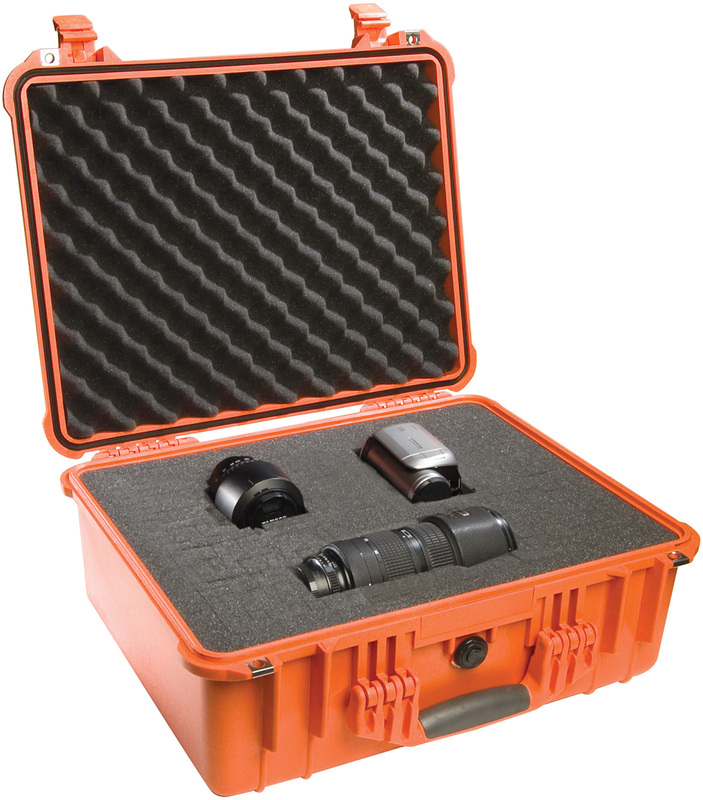 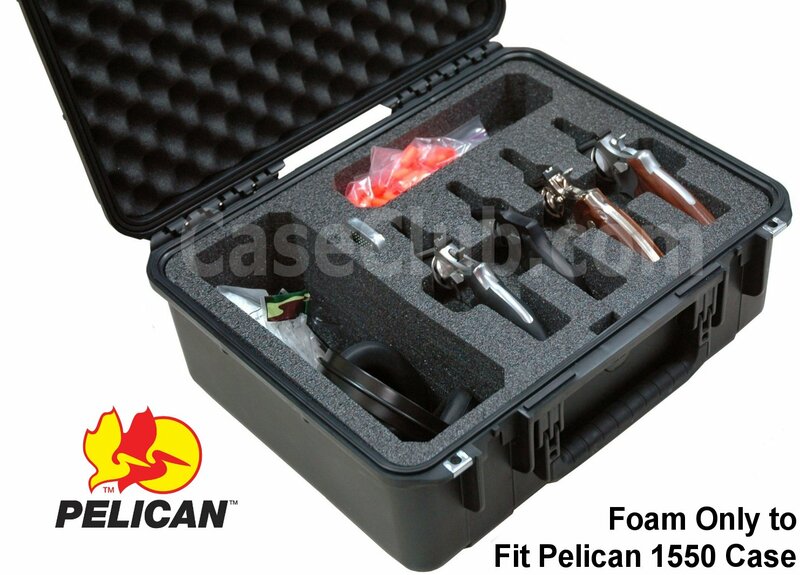 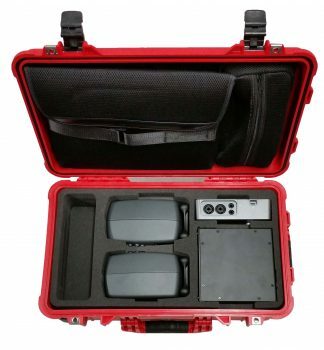 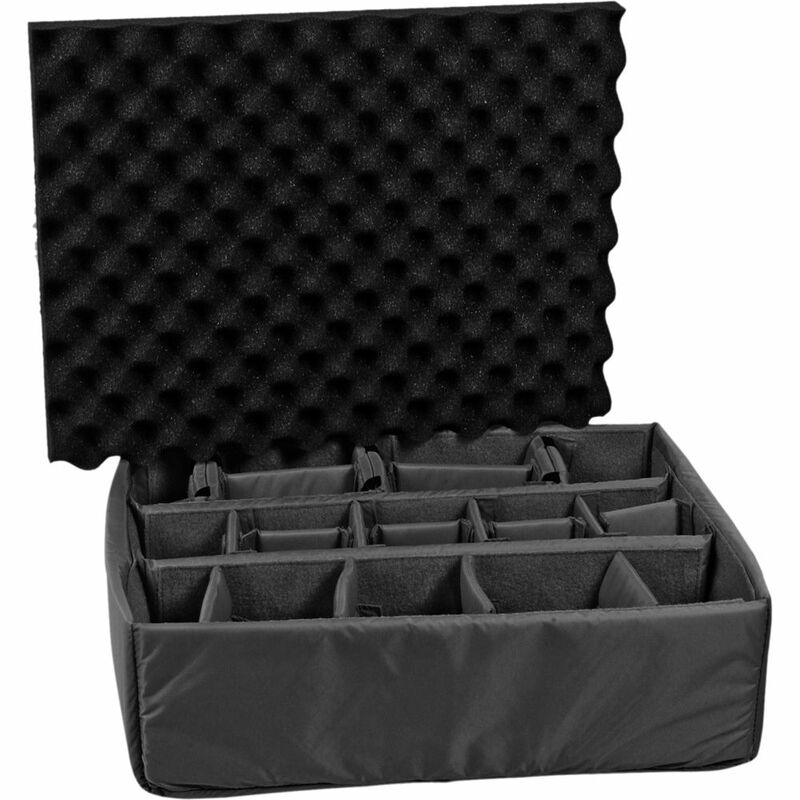 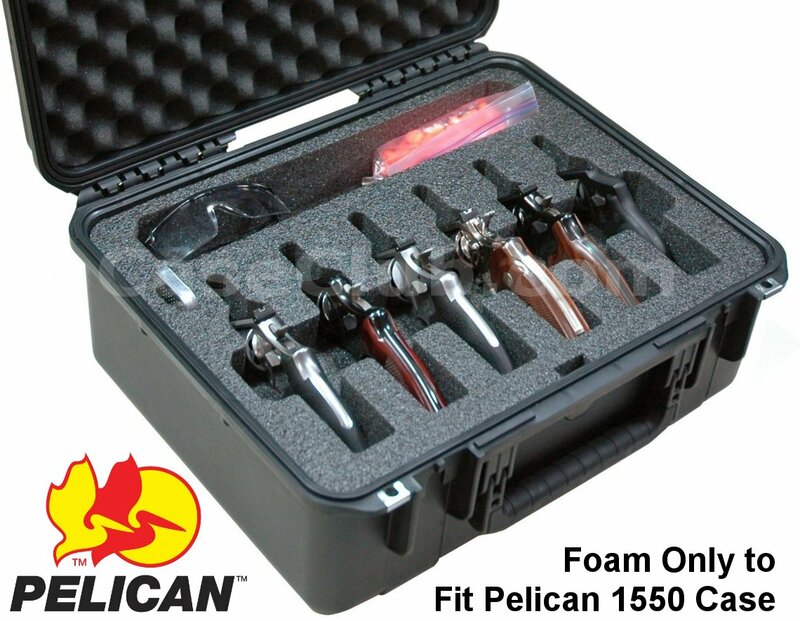 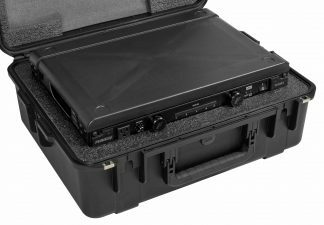 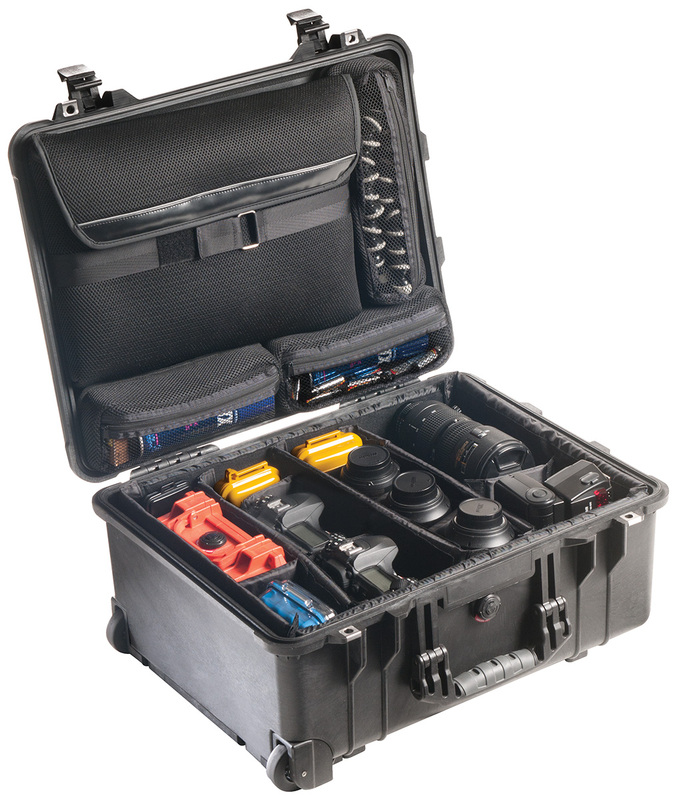 If you need a larger case be sure to check out the Pelican™ 1560 Case.